In Italy, there's a saying that even a slipper, deep-fried, is good. It means that anything is delicious when it's deep fried, and this is especially true when it comes to sweet things. In fact, this is the essence of Carnival, the late winter festival when anything goes and the smell of fried pastries and sweets fills the cold air. Every region of Italy has their favorite Carnival specialties. In Tuscany you can find frittelle di riso, little balls of rice pudding that turn into pillowy soft fritters when deep fried. In Venice, you'll see fritole, fritters filled with raisins and pine nuts. 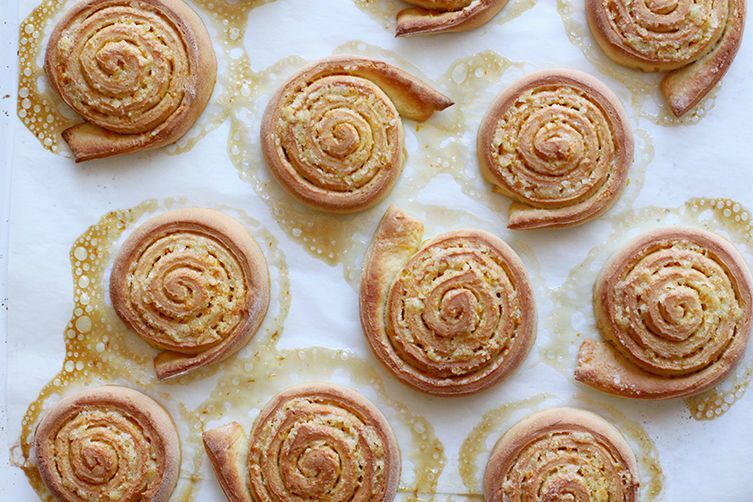 In Le Marche, there are fried pinwheels known as arancini (these are not the Sicilian kind, but are simply named after the orange-scented filling they hold, as arance means oranges): They're simple pastries made of a brioche-like dough that's rolled up with orange-scented sugar and deep fried. And limoncini are the version with lemon zest. In Emilia-Romagna, you can find castagnole (deep-fried balls of rum-scented ricotta) or sugar-dusted battered and fried apple slices. They're kind of like pancakes wrapped around apples and they're so popular you can find them in many northern Italian regions. In Alto Adige, they're a typical winter snack, eaten hot or cold, loved by children and adults alike, and even served as a side dish to pork and roasts. 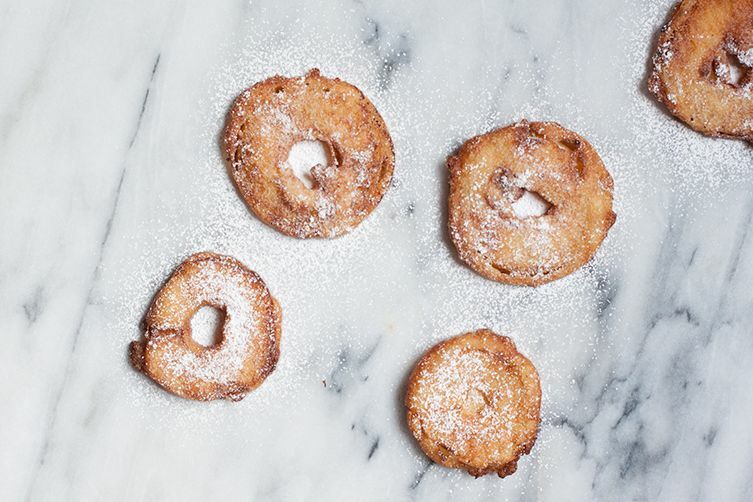 I've adapted this recipe for apple fritters from an Ada Boni recipe in Regional Italian Cooking. It was originally listed as a component of the dish “Gran Fritto" (or "fry up") found in Emilia-Romagna, which comes as a platter of all kinds of battered, deep-fried things—everything from battered and fried baby lamb chops to fried custard—to share amongst the table. 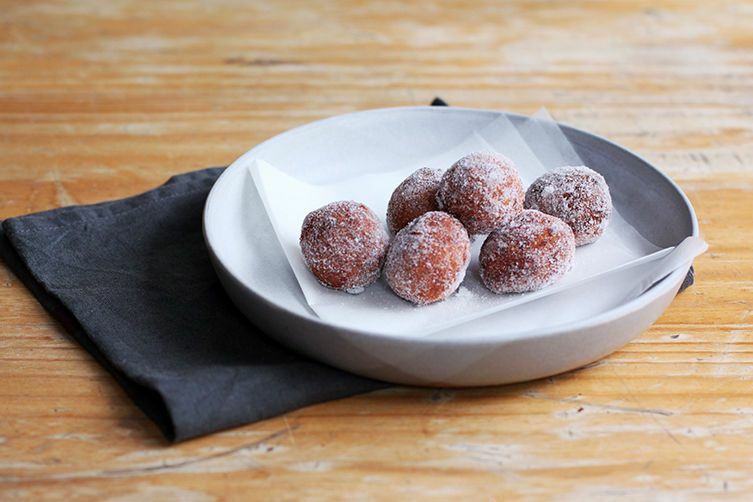 Like in her recipe for ricotta fritters, Ada uses very little flour here, calling for only 3 tablespoons. The liquidy batter is wonderful for fried ricotta but resulted in soggy and oily apple fritters that flopped out of shape as soon as they started to cool down. Most modern recipes call for about double the amount of flour, and I found that adding more to Ada's original recipe results in fritters that are crisp rather than oily and that stand up well over time regardless of the type of apple. These are even delicious cold, but if you'd like to keep them warm, store finished fritters in a very low temperature oven until the whole batch is done. 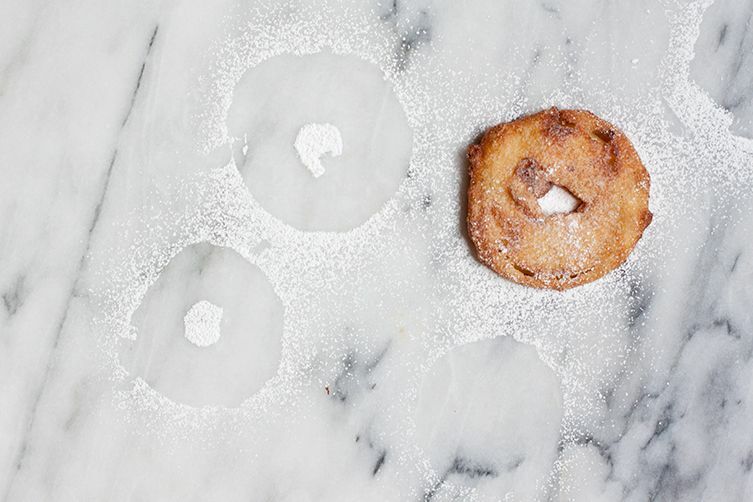 Just before serving, cover the fritters in confectioners' sugar. 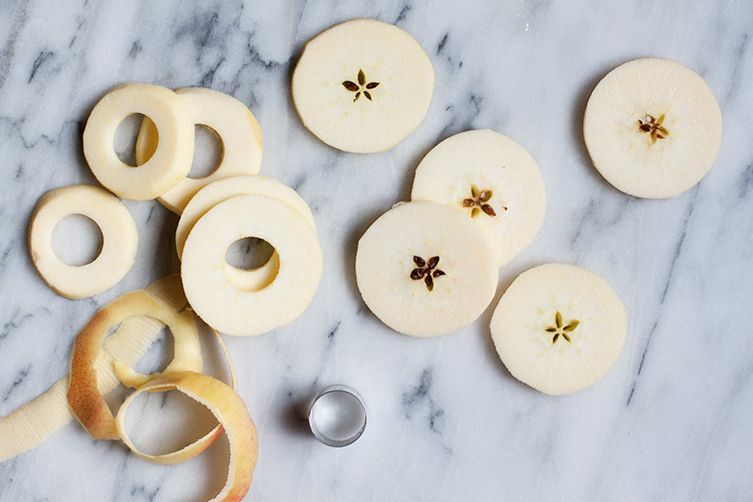 It will melt almost as soon as you sprinkle it on, but there's no other sweetener in the recipe so dust it on liberally—it adds a lovely, sticky sweetness to contrast with the tartness of the apple.